You can now bring Grand Admiral Thrawn to your games of Star Wars: Armada. And, I mean, the Rebels are getting a new ship, too, but c'mon. It's not an ISD with an all-new paint job and one of the most-loved characters ever from the Star Wars extended universe. I'm probably gonna pick one up just to have that cool ISD mini. 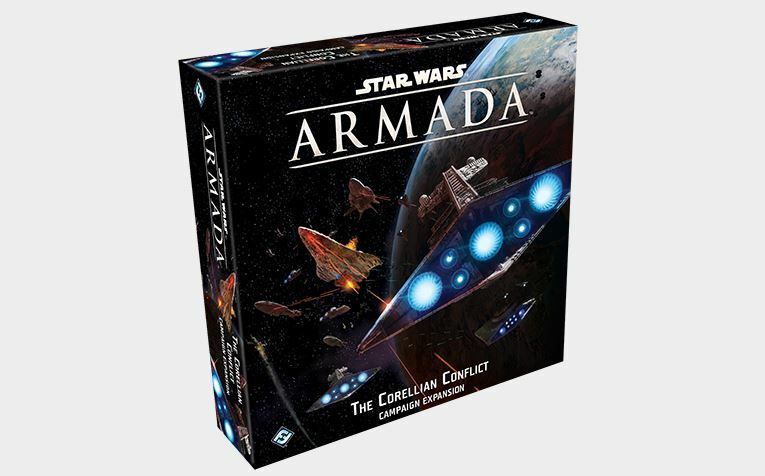 The Profundity expansion for Star Wars: Armada gives Rebel players access to Admiral Raddus, the Mon Calamarian in charge of the ships at the end of Rogue One. But how will he affect your fleets? In this preview, you get a look at what Raddus brings to the table, along with some of the other new pieces coming in the set. Grand Admiral Thrawn is possibly the greatest threat to ever face the Rebellion and the New Republic. His deep knowledge of different races' history, art, and philosophy gave him an edge in combat unlike any other commander. His 7th Fleet wreaked all sorts of havoc, being led by Thrawn's flagship, the Chimera. Soon, you'll be able to add this unique ISD to your fleets. But what other sorts of tricks with Thrawn have up his sleeve? You can see for yourself in this preview. When the Mon Calamarians joined the Rebellion, their master shipbuilding skills came along with them. This allowed the rag-tag bunch of rebels to compete with the mighty Imperial Navy in terms of ships. One of the Mon Cal's designs was the MC75 Cruiser, featured in Rogue One. Soon, you'll be able to add this ship to your fleets in Star Wars: Armada. 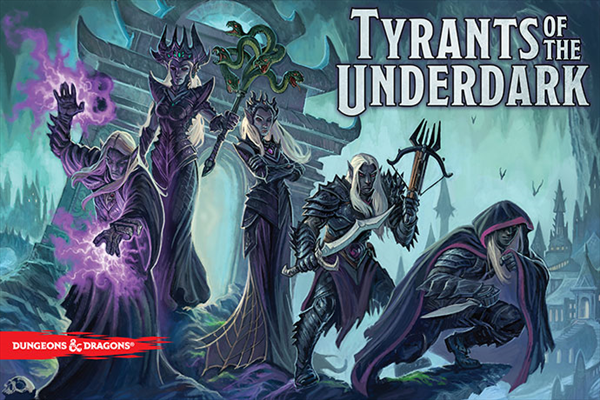 Get a preview here from Fantasy Flight. Both the Imperial and Rebel navies are constantly looking for an advantage over the other. As such, there's always new ship designs going into production, and new tactics being created to utilize those ships. 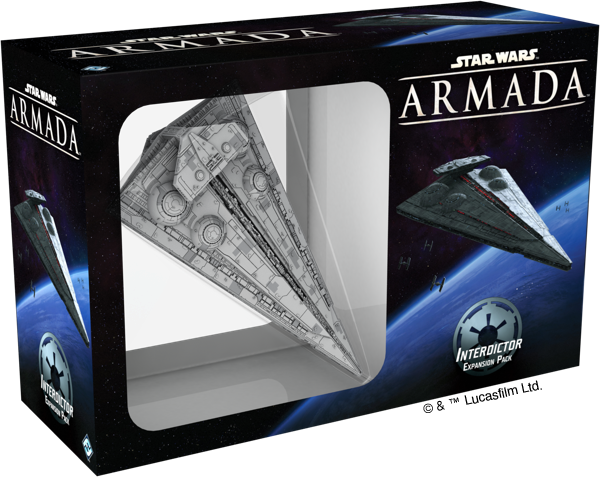 This means new ships hitting your tabletops for Star Wars: Armada. In this case, it's Wave VI, which includes the Hammerhead Corvette and the Quasar Fire-class Cruiser. It's always important to make sure you and your opponent are on the same page when it comes to rules. It's also good to see that a company is supporting a game they make, wanting it to be as good and balanced as possible. 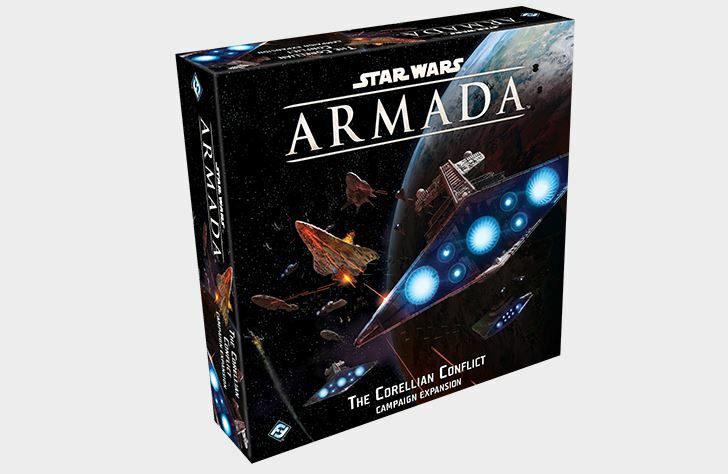 If you're a Star Wars: Armada player, you'll want to check out the latest rules update, FAQ, and E&C that Fantasy Flight has just posted up. Normally, you don't want your own ships just crashing into others while fighting in space... or really down on a planet's surface, either. But sometimes it's just what is going to get the job done so your side can win. 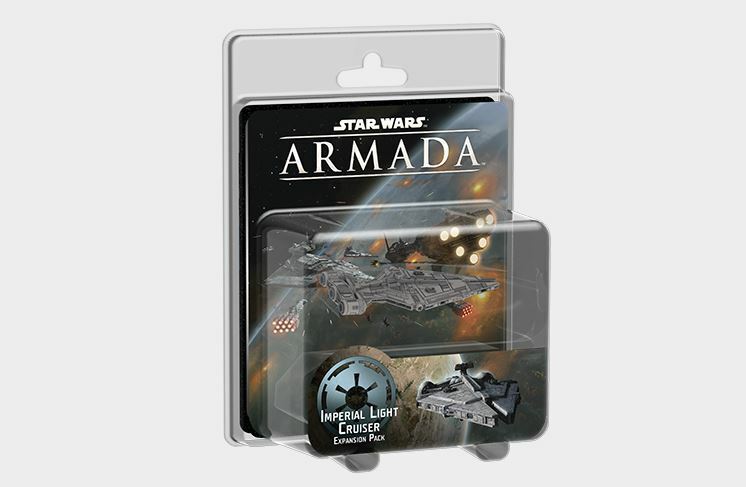 Entire strategies have been built around such tactics, and soon you'll be able to do that type of thing in Star Wars: Armada using the contents of the Hammerhead Corvettes expansion pack. If there's one thing that the space battles in Star Wars taught us, it's never underestimate the power of a fighter squadron. X-Wings and a light cruiser take out the Death Stars. An A-Wing crashing takes out the Executor. Squadrons of fighters can really swing a battle in your favor. And getting those fighters to the front are various larger ships, such as the Imperial Light Carrier, coming soon to Star Wars: Armada. 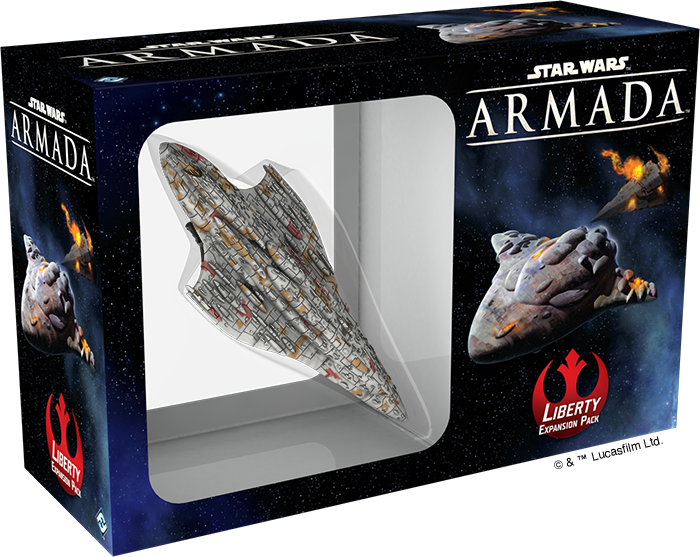 There's some more ships coming out soon for Star Wars Armada, the fleet-combat game from Fantasy Flight. This time around, we're getting the Imperial Light Carrier as well as Hammerhead Corvettes. These ships might not be familiar to those that haven't watched some of the more-recent Star Wars movies (so... me), but they are featured in Rogue One. Fantasy Flight is headed for the stars in this latest set of releases. 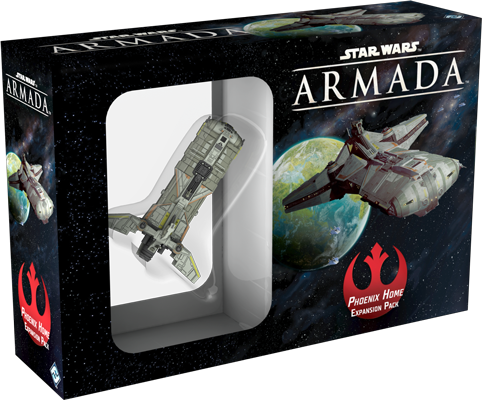 If you've been on the lookout for the latest set of Star Wars: Armada ships, as well as their new campaign, you're in luck. Also available is a new expansion for Cosmic Encounters. Plus, there's new card protectors to keep it all safe. 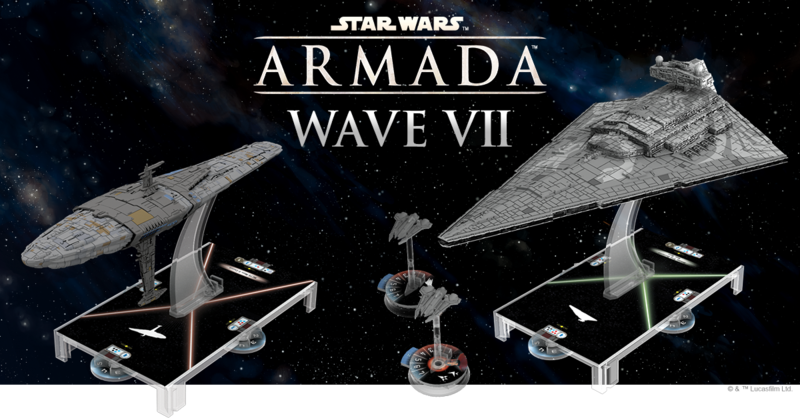 Star Wars: Armada scales up the battles by scaling down the ships. Though the big ships like Star Destroyers and Mon Calamari Cruisers might take center stage, any admiral would be remiss to ignore the smaller ships and fighter squadrons. 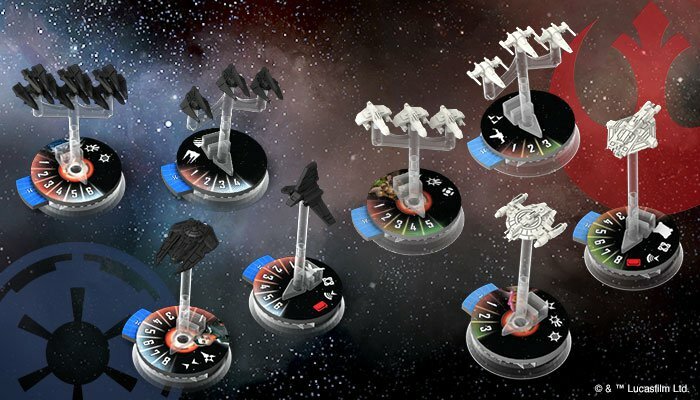 There's a new batch for both the Imperials and Rebels coming in Wave V for Armada, of which we get a preview here. Well, the weekend is over. Mine didn't quite turn out like I'd hoped. Didn't get a chance to do any gaming, but did have a chance to do some cooking. This year's fruitcake is a success, I'd say. Just need to get more people to give it a try. But anyway, let's get straight over to making your gaming tables look as good as possible. 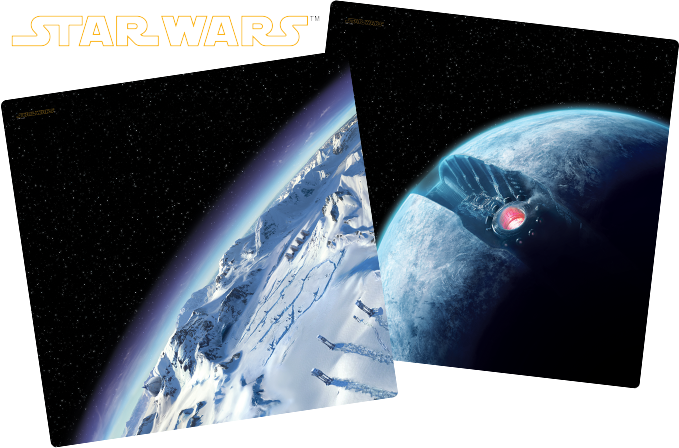 Today we have: Two New Star Wars Play Mats Available From Fantasy Flight Games,City Ruins Map Available From Pwork Wargame, Heroic Maps - Flottederoi Frozen Harbour Now Available, and More battlefield terrain at Micro Art Studio store. While most of us think of the formidable Imperial-class Star Destroyer when we think of the Imperial armada, there's plenty of smaller craft that would be used, particularly out on the Outer Rim, when sending a whole ISD would be overkill (even in Imperial standards). That's where the Imperial Light Cruiser comes in. Smaller and able to respond more quickly to threats, it still packs a good punch. And soon, you'll be able to add them to your Star Wars Armada fleets. Not every ship in your armada is going to be the "big guns, blow apart the enemy" sort of ship. There are going to be those ships that simply make all your other ships more "big guns, blow apart the enemy." That's what you get with the Phoenix Home. You're not going to be scratching too many kills into its hull, but it will make sure your other ships are making those shots. When playing games of Star Wars Armada, you might imagine yourself as a leader of the Rebellion or the Empire and the battle is one of but many in the ongoing civil war rocking the galaxy. Well, soon you'll be able to actually make the game be part of a bigger whole. In The Corellian Conflict expansion, you'll get a new campaign system that you can use to create a linked chain of battles for control of one of the most important sectors in the galaxy. So, over the weekend, many companies had a lot of announcements about games and expansions they're coming out with. I was able to get photos of many of them. 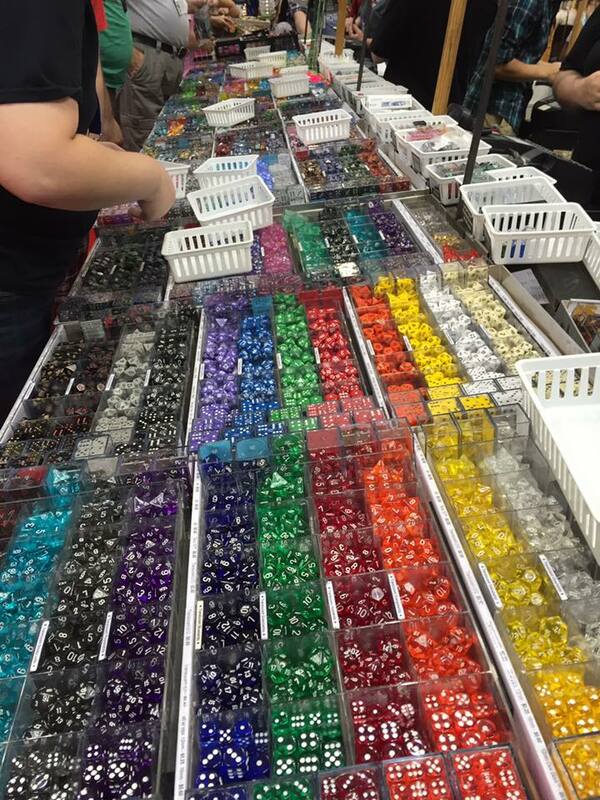 Here, now that Gen Con's over, it's time to post up the website updates for many of them. Fantasy Flight Games certainly had a lot to talk about. They've got a new expansion for the XCOM board game, a bunch of things coming out for Imperial Assault, as well as the next wave of ships for Star Wars Armada. As a conflict progresses, both sides learn things from the other. Crews will gain combat experience and battle plans will be altered based on how technology reacts during engagements. And that's just what you'll get to simulate with the Corellian Conflict expansion for Star Wars Armada from Fantasy Flight Games. If you're like me, you have spent a lot of time looking over stats for models in a game you play and endlessly coming up with different builds for your teams/armies/fleets. "I could take X, and that'd give me points for Y, but not enough for Z." and so forth and so on. 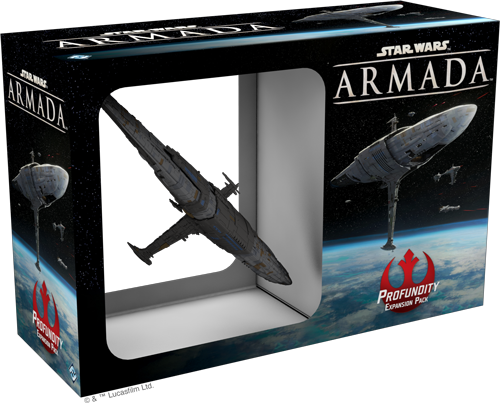 Well, Fantasy Flight Games is rewarding those admirals out there who are looking over the upcoming releases for Star Wars: Armada and already working to integrate them into their fleets. They're having a contest where you do just that. The Star Wars universe is full of many unique ships. 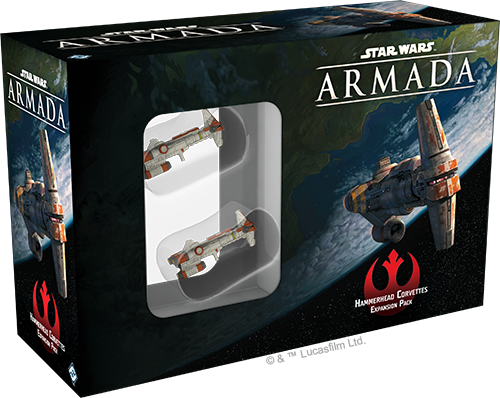 So there's plenty to choose from when deciding on the next wave to come out for Star Wars: Armada. These two might not be directly talked about in the movies, but anyone who's familiar with the Extended Universe knows about the Imperial Interdictors and the Mon Calamarian Star Cruiser the Liberty. They'll be coming to your tabletops soon. Here's a quick look.